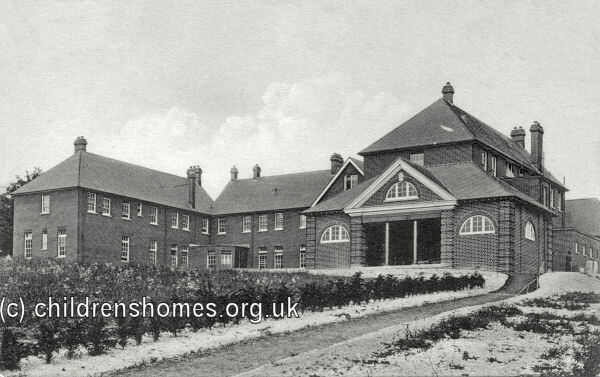 In 1903, as part of its Diamond Jubilee celebrations, The National Refuges for Homeless and Destitute Children (later known as the Shaftesbury Homes) decided to establish a new home for the younger girls in its care. 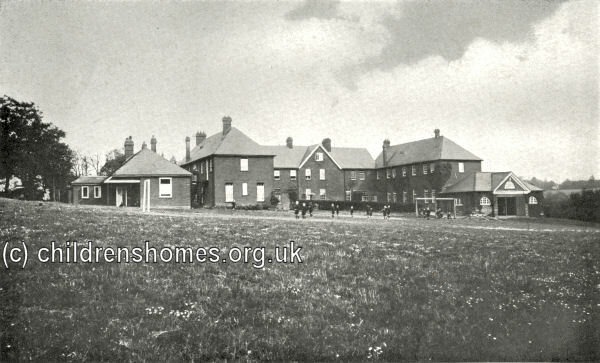 Progress was delayed due to lack of funds but in 1906 a site of five and a half acres was acquired for the purpose on Barkway Street (now Barkway Road), Royston, The Home for Little Girls' Home, as it became known, admitted its first inmates in July, 1908, and the Home was officially opened on November, 13th, 1908. The building, in red brick with a tiled roof, was designed by Mr R.G. Hammond and its construction cost £6,435. The Home site is shown on the 1921 map below. 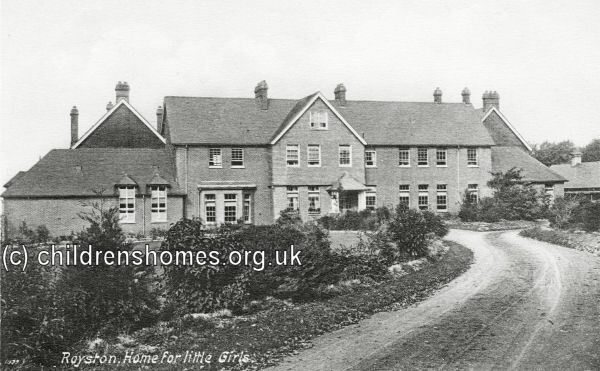 Royston Home for Little Girls site, Royston, c.1921. The girls, 'fatherless and destitute', typically entered the home between the ages of 5 and 7 years. On arrival, new inmates had their hair close cropped as a precaution against lice. Anyone found to be infested received a daily bath of disinfectant. 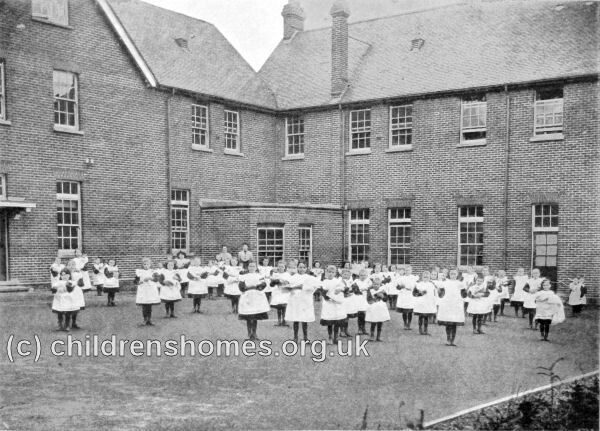 When they reached the age of ten, the girls were transferred the Society's home at Ealing. 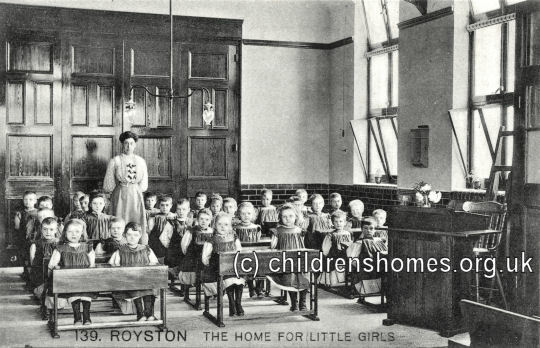 In 1921, an increase in the number of boys seeking admission to the Society's homes resulted in Royston becoming a mixed home. By 1929, a further continuation of this trend led to its being turned into a home just for little boys aged from 5 to 8½ years. Towards the end of the following year, the school on the premises was discontinued and the boys then went out to local schools. In the summer, the boys who were unable to go back to their own homes were taken for a fortnight's holiday by the sea. During the Second World War, the children at Royston contributed to the war effort by picking herbs and wild plants used in the production of food and medicines. Royston had the distinction of being the only one of the Society's homes not to be damaged by wartime action. 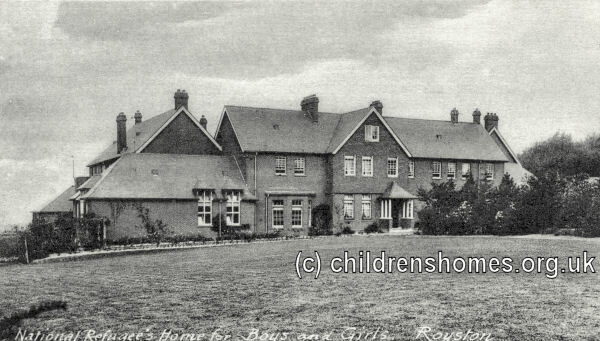 The home was closed in 1952 and the site was sold, subsequently being occupied by Shaftesbury House School. The buildings no longer survive and the modern houses of Limekiln Close now occupy the site.